High profile, wrongful death lawsuits have periodically dominated the news over the past decade, from the O. J. Simpson civil suit filed by the Goldman and Brown families against Simpson to the recent wrongful death action taken by members of Micheal Jackson’s family against his doctor who allegedly gave Jackson an injection of a powerful sedative which resulted in the pop singer’s death. 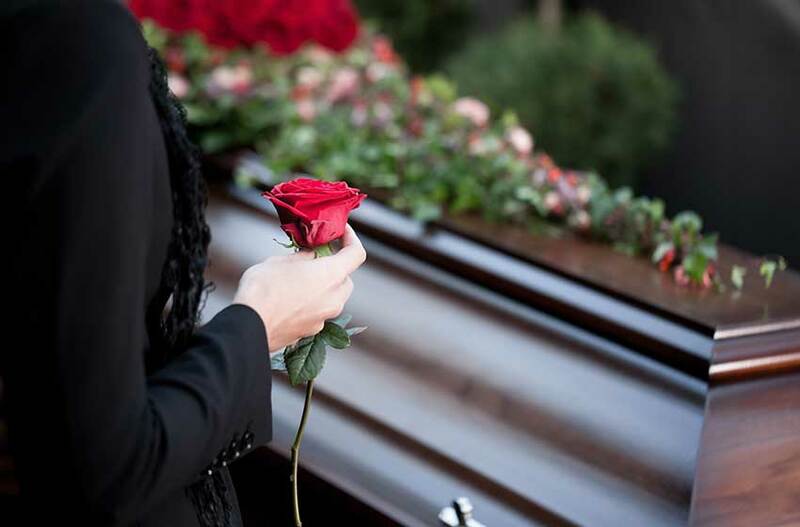 What exactly is wrongful death and what constitutes filing a wrongful death action in court? Concisely, wrongful death cases involve a surviving family member (s) filing a lawsuit on behalf of the deceased because he or they believe that the family member died due to the grossly negligent actions of that person. Friends of the deceased cannot file a wrongful death lawsuit; only the executor (s) of the dead person’s estate can legally file such a case. Reasons for individuals losing their life as a result of the negligence of another generally include automobile accidents; defective pharmaceutical drugs; defective products that are made available to consumers through retail stores; medical malpractice; exposure to toxic industrial-related substances and a variety of accidents often listed under personal injury cases. Wrongful death cases involving drug manufacturers that failed to inform the U.S. Food and Drug Administration about possible dangers involved with a new drug have been multiplying over the past years. However, even when the FDA does give its stamp of approval to a drug does not mean that drug may not cause serious side effects in certain, sensitive people. Companies responsible for making medications available to doctors and their patients are legally expected to exert stringent testing principles on all of their drugs before releasing them to the public. When a drug is suspected of causing premature death, the family of the deceased may be able to file a wrongful death lawsuit on behalf of the deceased. Each year it seems as though auto manufacturers need to issue recalls on vehicles due to defects in the making of or in the products comprising a specific model of automobile. Most of the time these defects are relatively minor and involve the aesthetics of the vehicle or an easily repaired mechanical flaw such as a possible leak in the steering fluid mechanism. However, when these defects cause accidents that result in the deaths of drivers and passengers, the manufacturer of the automobile can be rightfully sued for wrongful death. When death is the consequence of a defective product, whether it is vehicle, medical device or consumer-based item, family members of the deceased should contact the law firm of Goldberg and Rosen to discuss specifics of the case in order to determine whether a case for wrongful death exists. Experienced personal injury attorneys at Goldberg and Rosen are capable of expertly discerning unique characteristics of a cut-and-dried wrongful death case which can quickly allow you file, plead and win your lawsuit. Although many of the individuals affected by asbestos poisoning have settled their mesothelioma lawsuits, this is just one example of exposure to a toxic substance that resulted in the development of lung cancer in millions of people who worked with asbestos but were not informed of its dangers. Event today, working in plants and factories where daily exposure to volatile chemicals is routine for many people. However, the insidious nature of the health problems cause by exposure to these agents frequently results in people experiencing symptoms when the disease has progressed too far to be successfully treated. Employers who knowingly allow employees to work around toxic substances without taking necessary precautions may be guilty of gross negligence–definite grounds for family members filing a wrongful death lawsuit. Monetary awards made by a court in a wrongful death action automatically goes into the deceased’s estate but is transferable to a family member if the deceased left a will stating where his or her estate should go. Goldberg and Rosen’s personal injury attorneys will seek adequate wrongful death compensation to cover such things as hospital and medical expenses (if any), funeral costs and pain and suffering in the event the deceased experienced trauma prior to death. In addition, wrongful death compensation awards may also include certain amounts for loss of companionship/parental support, loss of financial support and emotional/mental distress due to the death of the loved one. Legal terminology for these types of compensation fall into two categories: economic and non-economic damages. 768.17–It is the public policy of the state to shift the losses resulting when wrongful death occurs from the survivors of the decedent to the wrongdoer. 768.18 – “Survivors” means the decedent’s spouse, children, parents, and, when partly or wholly dependent on the decedent for support or services, any blood relatives and adoptive brothers and sisters. It includes the child born out of wedlock of a mother, but not the child born out of wedlock of the father unless the father has recognized a responsibility for the child’s support. 768.19 – When the death of a person is caused by the wrongful act, negligence, default, or breach of contract or warranty of any person, including those occurring on navigable waters, and the event would have entitled the person injured to maintain an action and recover damages if death had not ensued, the person or watercraft that would have been liable in damages if death had not ensued shall be liable for damages as specified in this act notwithstanding the death of the person injured, although death was caused under circumstances constituting a felony. 768.20 – The action shall be brought by the decedent’s personal representative, who shall recover for the benefit of the decedent’s survivors and estate all damages, as specified in this act, caused by the injury resulting in death. When a personal injury to the decedent results in death, no action for the personal injury shall survive, and any such action pending at the time of death shall abate. The wrongdoer’s personal representative shall be the defendant if the wrongdoer dies before or pending the action. 768.21 – Each survivor may recover the value of lost support and services from the date of the decedent’s injury to her or his death, with interest, and future loss of support and services from the date of death and reduced to present value. 768.26 – Litigation expenses–Attorneys’ fees and other expenses of litigation shall be paid by the personal representative and deducted from the awards to the survivors and the estate in proportion to the amounts awarded to them, but expenses incurred for the benefit of a particular survivor or the estate shall be paid from their awards. Wrongful death law is one of the more complicated and legally confusing facets of trial law because it is committed to calculating compensation for the deceased’s family using a judiciously elaborate equation. Providing expert assistance in obtaining the maximum award compensable under Florida law, attorneys for Goldberg and Rosen will handle your wrongful death case with the finesse and diligence required to rightfully give you the justice deserved due to the egregious, negligent actions of a company or individual.